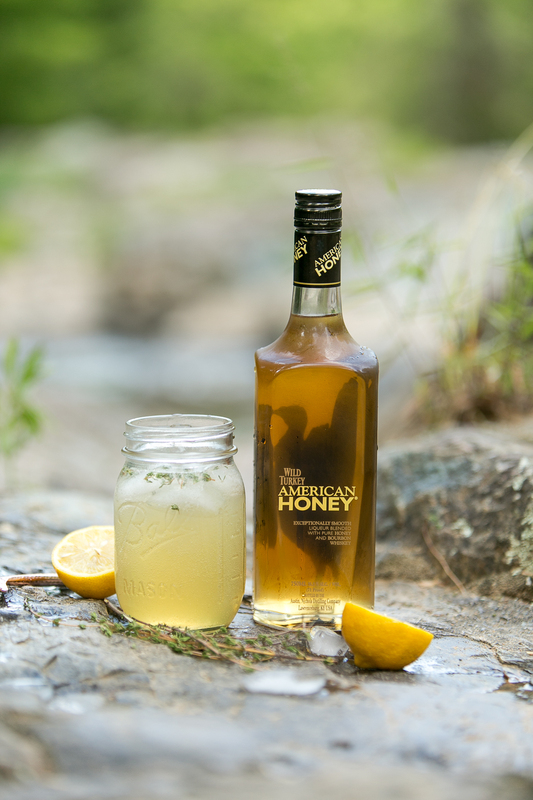 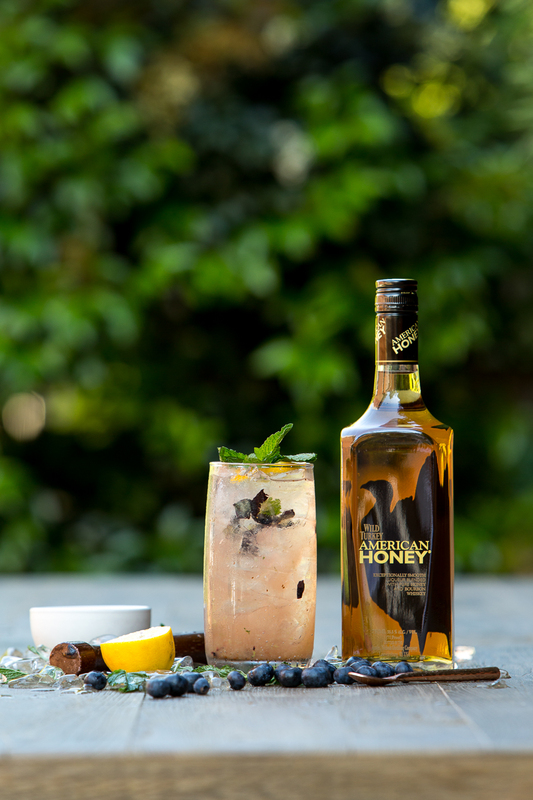 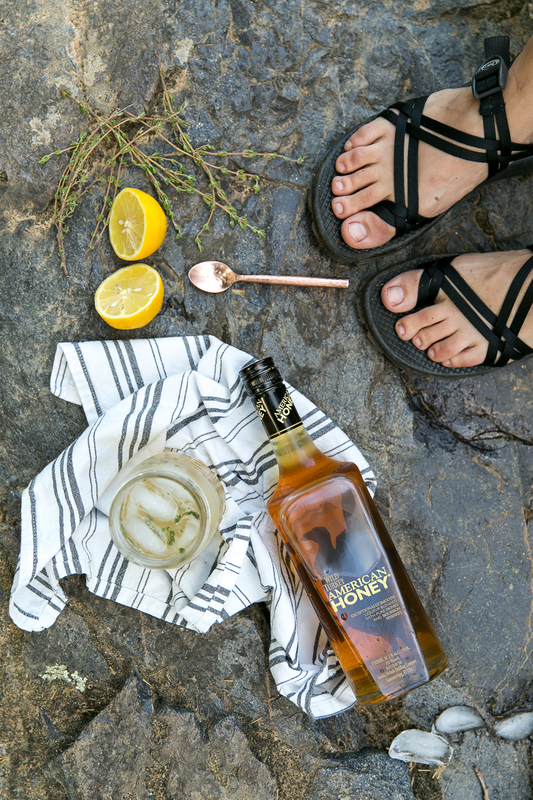 Wild Turkey released their American Honey Bourbon in the summer of 2015 and we were asked to create 2 recipes and 4 images that would be used on Pinterest to drive awareness of the new product. 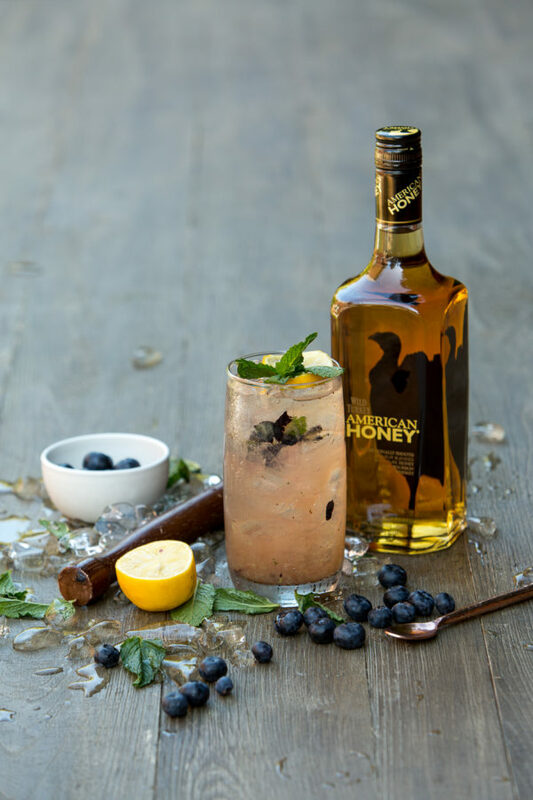 After developing and testing two recipes that we originally came up with, we arranged two shoots that we felt connected well to the drinks themselves and to the lifestyle surrounding the liquor. 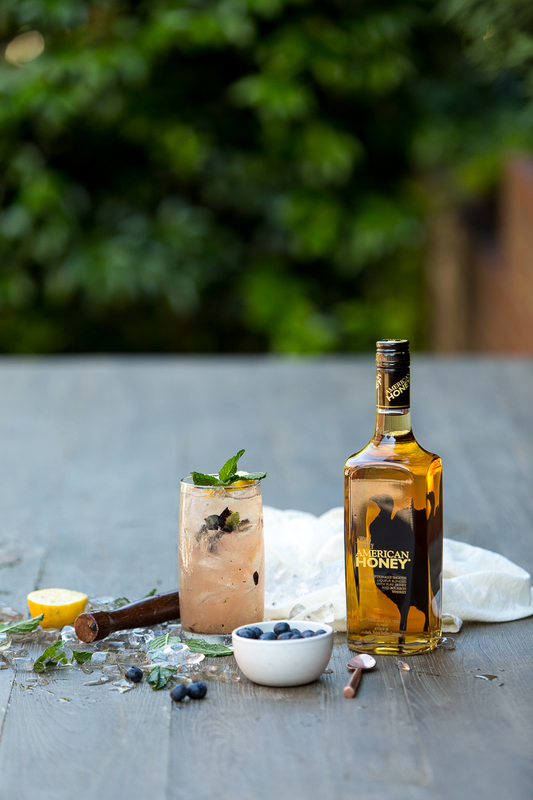 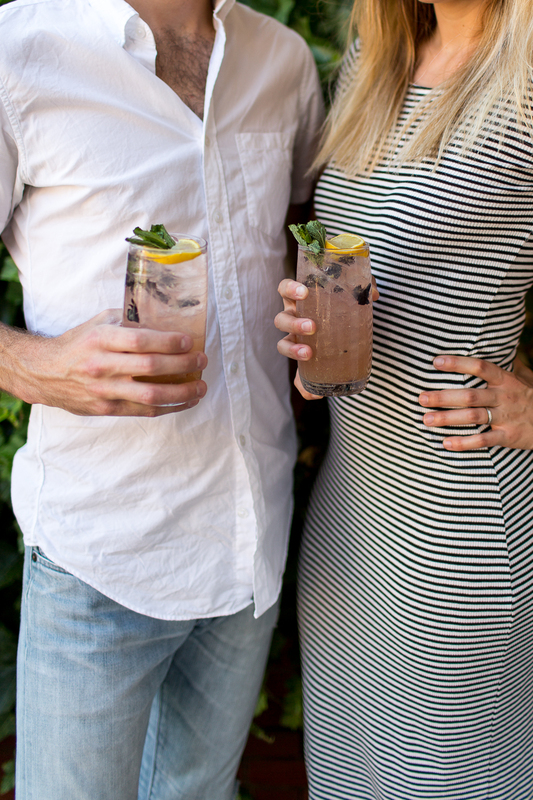 One shoot was centered around a blueberry, lemon, and mint drink that was perfect for the summer gathering with friends. 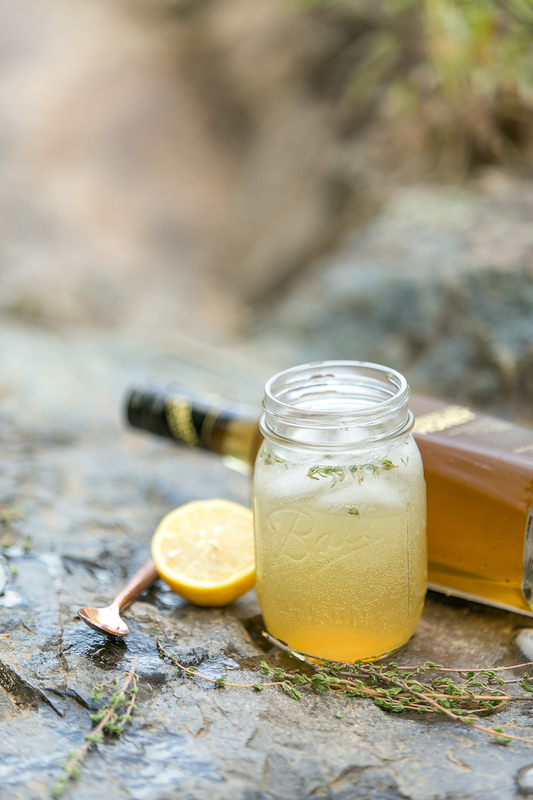 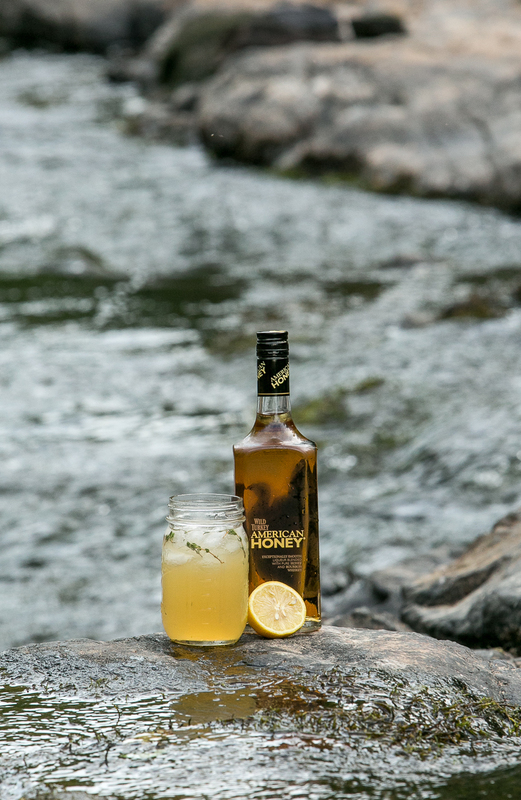 The second shoot was a simple lemon and ginger beer recipe for a day swimming on the river. 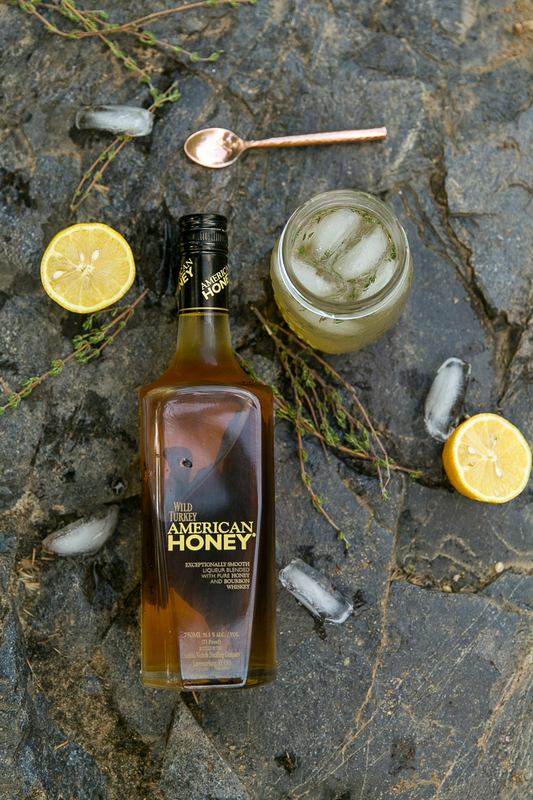 The shoots were all focused on creating images that would visually connect with Pinterest users.